A total of 15 Foster Wheeler FCCU wet gas project modules destined for the Valero refinery in Benicia, CA, were transported in 4 inland hopper barges from their construction site in Tulsa, OK, to New Orleans, LA. 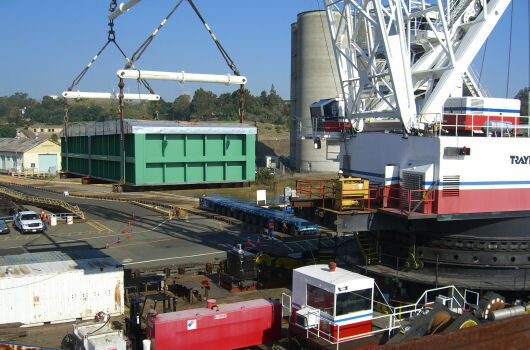 There, the modules were transferred onto the oceangoing deck barge WESTERN CARRIER. 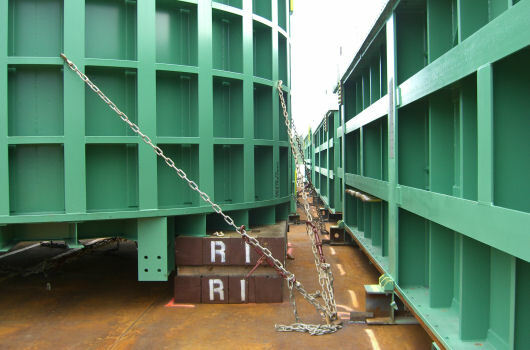 The modules, weighing between 26 and 142 t, were secured with clips and chain lashings. After completion of the seafastenings and Panama Canal preparations and upon receipt of the tow approval certificate, the tug and barge departed New Orleans with destination Benicia, CA, The tow managed to successfully avoid an encounter with hurricane Rick which suddenly developed in the Pacific offshore Mazatlan. 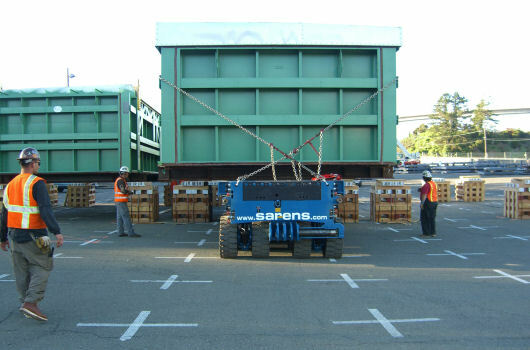 The barge arrived in Richmond, CA, on October 30, 2009, where the seafastening clips were removed. 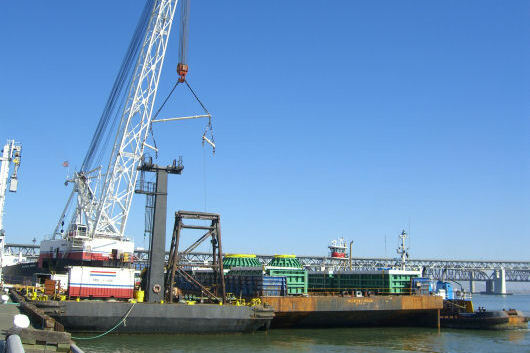 Early next morning, the barge was shifted to the port of Benicia, where the modules were offloading in a 3 day period, by the 650 t capacity floating crane DB 5. The first module went straight into the refinery, using a self-propelled trailer for the road transport. The other modules were driven to a storage yard and set down onto cribbing stacks. 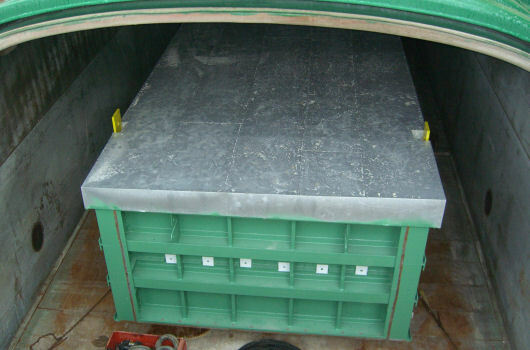 Survey the modules upon arrival in Benicia and attend the offloading operation.